Our dream which has now become a reality was to organise a Community Social ‘Big Family Sleepover’ bringing together our community to have fun, reduce isolation and be in a place where people can share experiences in an in-depth way by having time together, building new friendships and interacting without the pressure of para medical appointments and other stresses. The sleepover will be an opportunity for disabled children to just be themselves, not be judged for their different response to life – ‘just to be’ whether that is active and physical or creative and chilled. The choice is theirs and their families. 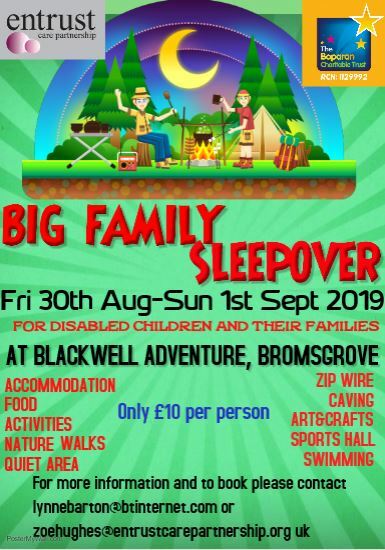 We have booked two tented villages and some rooms in the Manor House on site, the weekend will take place at the end of August 2019 at Blackwell Adventure Centre, a scout camp offering accessible group camping and activities. The fabulous grant from Boporan enables us to subsidise the cost of the weekend so that it’s affordable for anyone, along with a lovely donation from the Perivale Community Centre (West London) towards this! We know how lucky we are …… . We will be offering a range of activities that all families could take part in together- zip wire, climbing wall, archery, art & craft, face painting, sports, swimming,tree climbing, singing around the camp fire, rambling along nature trails and much more. All food will be provided, a cooked breakfast, Barbeque, sandwich lunch and a hog roast. It will be joyful, muddy, messy and such a different experience, one big family gathering in celebration of children of all abilities. We are open for Bookings now! 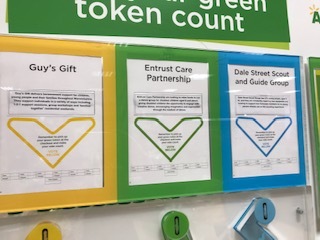 We will use the money we receive from Asda Green Token Scheme to act as leverage for a larger grant application to run some inclusive dance sessions with the delightful Mary Grigg, with whom we worked before. 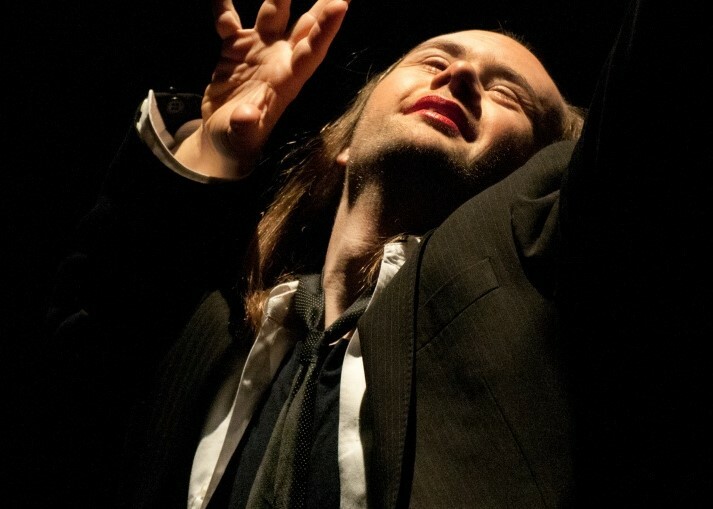 The Telling of Us will be the children and young people’s stories in the medium of free dance. Contact Lynne lynnebarton@entrustcarepartnership.org.uk for further details. We know that Carers can suffer from poor health and back pain, find it difficult to maintain healthy diet and exercise, experience the pressures of juggling family life, be emotionally drained, stressed or sleep badly, feel emotions of guilt, resentment, anger, lifelessness and depression. Not everyone ticks all these boxes but a part of it seems to strike a chord with some of the families we talk to. We are always keen to support families in any way we can and with this service you will be the ‘centre of attention’ for a change. Our Who Cares We Care programme of seven sessions do just that, ask any of the carers and parents who’ve joined in over the past two years! Our latest sessions ran in May, funded by the King Henry VIII Endowed Trust. These inspiring Parent and Carer Workshops not only celebrated the joys of caring for a child, young person or adult but also consider the emotional and practical stresses and what strategies can be helpful. We all learned from each other as well as the experienced practitioners. If you’d like to hear a clip of Lynne talking about Who Cares We Care follow this link. 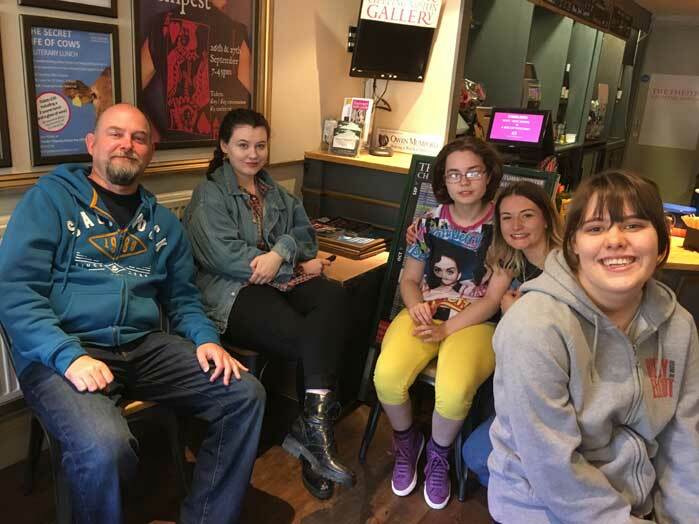 This Drama Group was for adults over 16, working together with the wonderful provincial Theatre at Chipping Norton to engage in a drama session on the stage – how exciting! We were joined by eight other people with additional needs who lived locally and we had a shared lunch before returning home in the car, singing songs from our favourite musicals. See below and right for comments from the young people and the professionals! “I liked hanging out with Charley”. “It’s a nice theatre & staff were all friendly”. “I have enjoyed all of the workshops and I’ve tried new skills”. 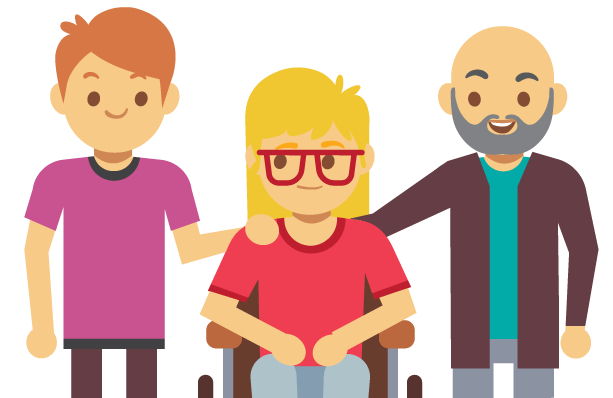 Funded by Leamington Town Trust this project will establish a support group for fathers, grandfathers, step-fathers and male carers of a disabled child, young person or adult. We know a direct Dad to Dad support group would meet the needs expressed by male carers, providing a safe space for fathers to benefit from a gender specific approach; as one father expressed “I come home tired, then I have to face caring and have a stressed partner to deal with”. In an informal and relaxed setting and hosted by skilled male facilitators who are fathers themselves, we will explore sensitive issues but also be guided by what the group wants to do – whether it be action packed or some quieter moments. 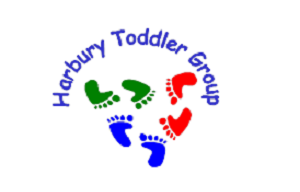 This friendly group welcomes parents & carers of children under five providing a safe, secure, and happy environment for all children with parents being actively involved. There are plenty of toys which help to develop children’s skills and the opportunity to engage with other families. We’ve been involved with running the Toddler Group for quite a while now and we like to keep abreast of things to see how we’re doing – so like last year, we again asked one of our volunteers to examine our attendance sheets and collate some facts us. Once again we’re delighted with the results View Them Here. Want to see what we’ve got planned for 2019? Our calendar is now available to download! Keep it handy so you never miss a treat! Entrust Care Partnership loves working with Arts professionals so teaming up with Arts Uplift and the Wriggle Dance Theatre last year to provide inclusive movement sessions for parents and children under five was a joyful experience. We are grateful to the Arts Council who funded our project which we called Grown Ups and Wrigglers. This year, 2019, we’re working with Arts Uplift and Anjali, a Banbury-based Dance Company whose marvellous first-class dancers all have Learning Disabilities. They will provide a teacher and an artiste for sessions to run 10 to 2pm week beginning 22nd and 29th July, with a sharing performance at the end. PLUS we’re planning a 1 day session in October half term for a refresher in preparation for the visit to Anjali’s show ‘Genius’ at Warwick Arts Centre on Thursday 7th November. Calling All Parents, Carers and Supporters! We thoroughly enjoyed hosting our informal drop in sessions last year, it was lovely to see so many of you and to catch up on your news and we’re delighted to be bringing you more of these informal sessions during 2019. 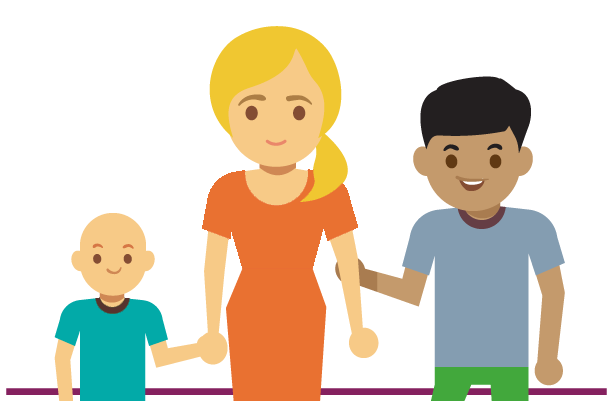 Our experienced parents/carers will be on hand to answer any questions you have about what local and national support is available, where to turn to next after a recent diagnosis and much more. It’s the perfect opportunity to speak to someone who has ‘been there’ themselves, understands the system and can advise & guide to hopefully make things smoother for the future. Download the leaflets for May and June here. Here’s a novel idea – join one of our walking groups to chill out and get some fresh air and exercise all at the same time! Funded through WPH Charitable Trust we’ve already enjoyed walks over the past couple of year’s at Ryton Pools and Stratford-upon-Avon, and we’ll definitely be looking to get more arranged for 2019 in these and other delightful locations. So dust off the walking boots and keep an ear out for news of dates! If you’d like to express interest in these groups, complete and return the application form in the download below.